Blend all the ingredients together and pour batter into preheated skillet with coconut oil or grass fed butter. Make each pancake 3-4 inches round. Allow to cook and very lightly brown and flip. 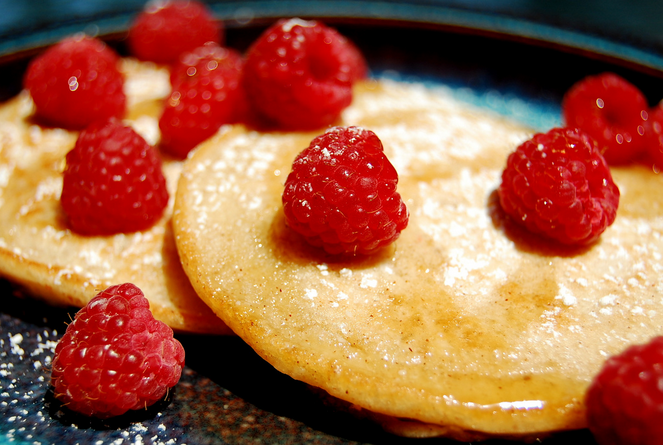 Serve with fresh berries.